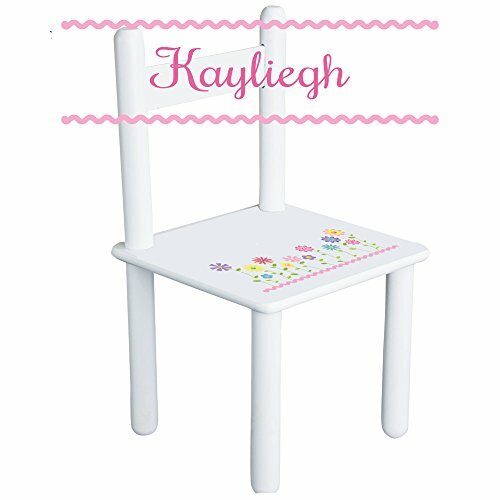 Our MyBambino Personalized Stemmed Flowers childrens white chair is an adorable addition to any room or nursery. Comes with wood composite seat and headrest and coated durable metal legs made for long hours of play. Our team of craftsmen adorns and personalizes your chair with a beautiful imprinted design. Seat is 12" X 12" and 12" off ground, Backrest is 23" high. Measures 24" X 12" and 12". Seat is 12" off ground.